Oh, yeah! 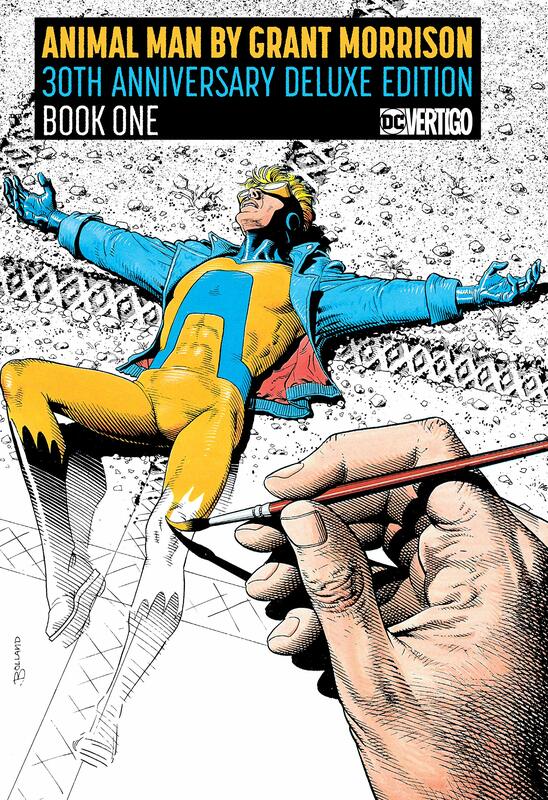 This collects the first 11 issues as well as Animal Man’s updated origin story from Secret Origins #39. This series gets a lot of acclaim as it rightfully should and it’s easily the most obviously meta series Morrison has done; he really wears his heart on his sleeve in this book. There’s a decent amount of some traditional superhero antics framed in non-traditional ways, but you can see Morrison moving further and further away from those types of stories as the series continues. And for as much as this is a direct reflection of Morrison’s life at that time, this is perhaps one of the more pedestrian books he’s done in terms of storytelling. There are good guys and bad guys and Animal Man even goes grim and gritty at one point. But, as with all things Morrison, there’s always a deeper meaning if you choose to do some digging. And without realizing it, Peter Tomasi has become one of my favorite writers. 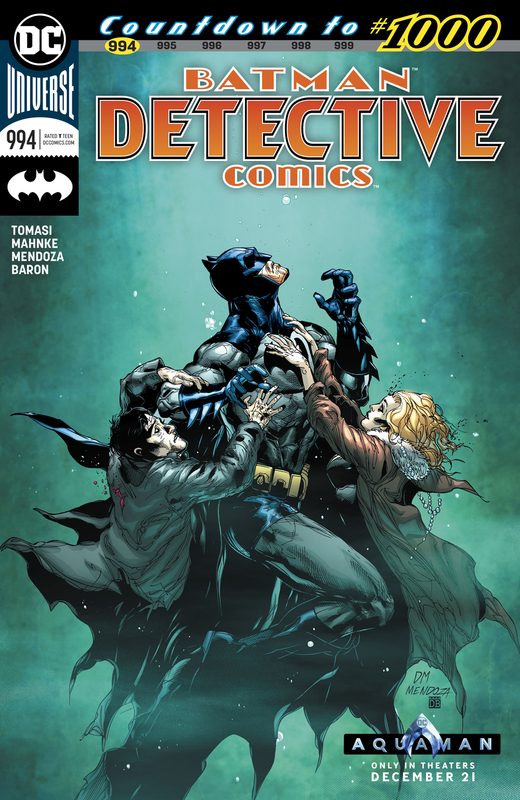 I don’t know when it happened — maybe it’s that he’s one of the few writers who actually gets Damian Wayne — but it did and I’m really happy he’s taking over Detective Comics. Doug Mahnke and Tomasi have made for a great team in the past and I have no reason to doubt that they’ll be a great team here. The write-up for their first issue looks like the kind of story I’ve been hoping for from the Bat-books since Rebirth started but haven’t gotten. I couldn’t be happier about this new creative team. I’m automatically putting this here because of the creative team, but I’ve yet to read their work on this series as I’m a bit behind on my comics — these bi-weekly titles pile up fast! 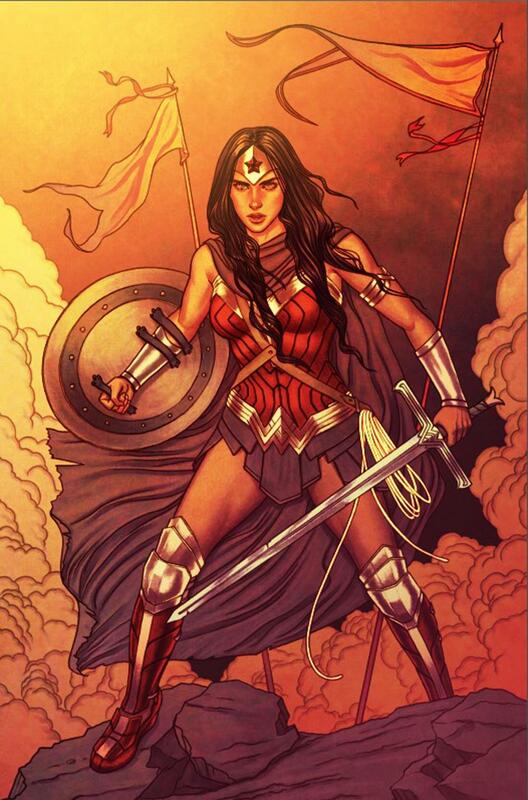 But, like I said, the creative team alone is reason enough to give this book a shot. The second issue was a bit scattered, but this series has still been solid. The setting is great and Priest’s use of a version of John Jameson carries a lot of weight. There’s an undercurrent of the idea of the impact of certain people, even if they’re just ideas. 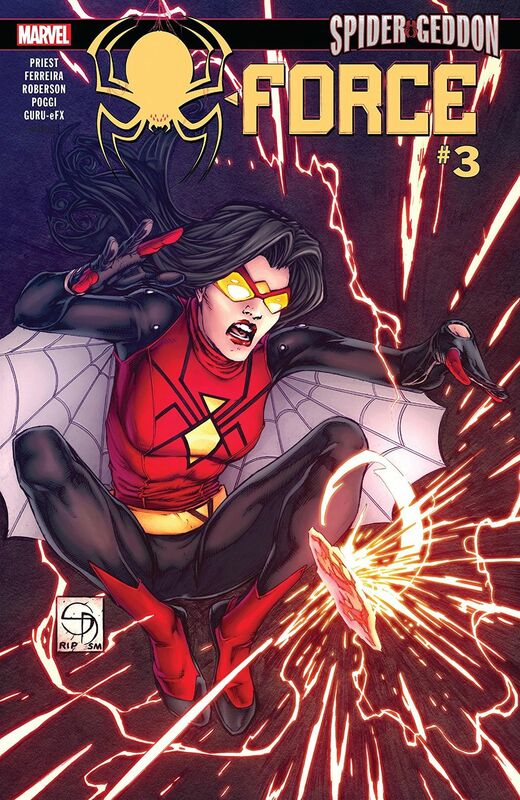 I’m also a sucker for any book featuring Jessica Drew. Sabrina is getting well deserved attention because of the Netflix show, but Archie’s entire horror line is pretty great. 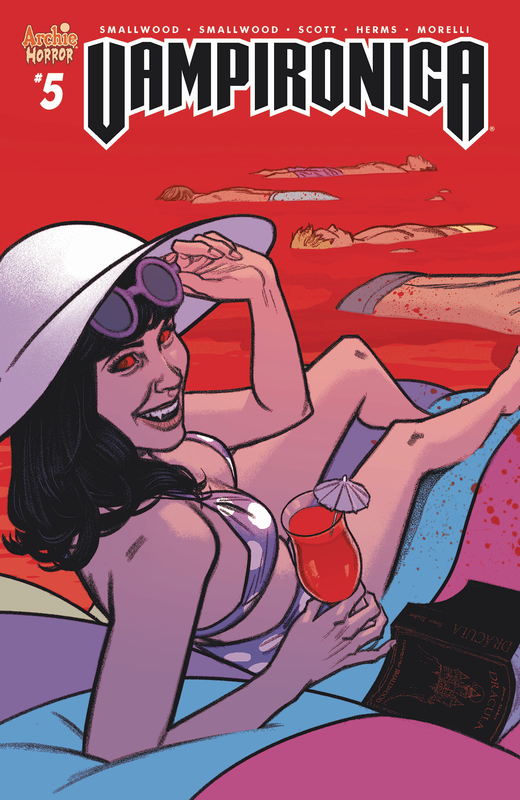 I wish we got more Afterlife with Archie, but Jughead, the Hunger and Vampironica are nearly as good and a great continuation of the line. You have to appreciate the make over that Archie Comics has given itself over the last ten years. I don’t think I’d ever read an Archie comic before Afterlife with Archive. 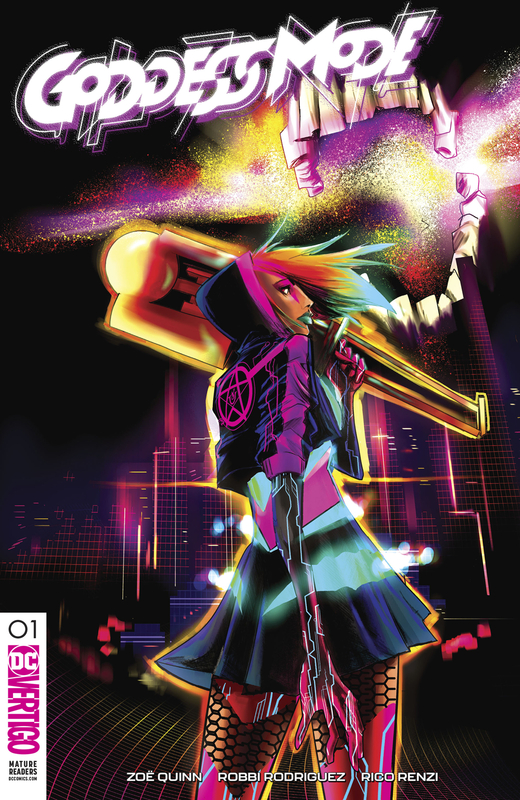 I’ve never read anything by Zoe Quinn, but I know Robbi Rodriguez from Spider-Gwen, so at least I know this book will look good. The pitch sounds great, too — it sounds complex, which is rare for the initial summary of a new title. Vertigo’s new line-up has been impressive so far, particularly Border Town, so at this point I’m going to give any of their new series a shot. Man, that clip of Miles from Into the Spiderverse is so freaking great. It really made me wish that Marvel would just take the plunge and make Miles the one true Spider-man. Don’t get me wrong, I love Peter Parker, but I’m ready to move on and Miles is the perfect replacement. 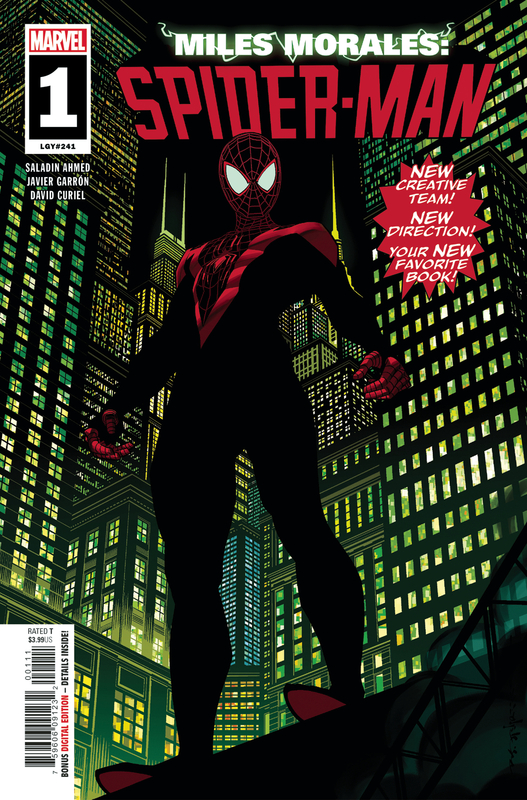 At the very least I wish Miles had his own superhero identity; he’s always going to be the other Spider-man and I think that does him a disservice. No train wrecks this week!